Three history research projects led by York University researchers have received close to $200,000 each in funding from the Social Sciences and Humanities Research Council of Canada (SSHRC). Projects led by Professors Jonathan Edmondson, Paul Lovejoy and Carolyn Podruchny have been awarded the research grants through SSHRC’s Partnership Development Grants program. Edmondson is a Distinguished Research Professor in the Department of History in the Faculty of Liberal Arts & Professional Studies (LA&PS) at York University. His research interests are in Roman History, in particular in the society, economy and culture of Roman Spain (especially Lusitania) from the late Iron Age to the late Roman Empire; Roman epigraphy, especially of the Roman Empire; gladiators in Roman society; the Roman family; and Greco-Roman historiography, especially Cassius Dio. Edmondson’s international project is titled, “Names and identity in Roman Spain: The ADOPIA project.” Using the provinces of Lusitania and Baetica as test cases, the project team consisting of 23 scholars from four institutions will develop the digital mapping web-portal Atlas Digital Onomastique de la Péninsule Ibérique (ADOPIA). The four partner organizations involved in this three-year project are York University, the Institut Ausonius in France, the Centro CIL II and the Archivo Epigráfico de Hispania, both based in Spain. Scholars from all four institutions will collect and analyze more than 15,000 inscriptions of varied types from a variety of sources including tombstones, public and private documents, building inscriptions and votive dedications to divinities. The findings will be used to deepen scholarly understanding of the significance of personal names as evidence for personal identity and cultural change in the Roman Empire from 200 BCE to 250 CE. Lovejoy is a Distinguished Research Professor, Department of History (LA&PS). He holds the Canada Research Chair in African Diaspora History and is a Fellow of the Royal Society of Canada, director of the Harriet Tubman Institute for Research on the Global Migrations of African Peoples, and formerly a member of the UNESCO “Slave Route” Project (Section du dialogue interculturel). He is editor of the Harriet Tubman Series on the African Diaspora for Africa World Press. Lovejoy will lead a two-year partnership project titled “Boko Haram, Islamic Protest and National Security” that will investigate the historical configuration of the Islamic insurgency in the Lake Chad region of West Africa. Boko Haram is perceived as a terrorist movement with strong similarities, albeit with tenuous links, to similar expressions of Islamist protest and jihad elsewhere in Africa, the Middle East, Europe and North America. Although the global and trans-national impact is clear, the research team hypothesizes that Boko Haram is different because it operates locally in Nigeria, Cameroon, Chad and Niger and is tied to the lack of resources resulting from governments perpetuating regional underdevelopment. The project will analyze recent geographical and ideological developments, examine representation of Boko Haram in the media, study why local and national governance has motivated armed rebellion, and recommend policy indicators to counter insurgency. The researchers seek to understand how the experience of Boko Haram can initiate political, social and economic policies of change in the affected countries. They plan to make accessible new knowledge related to Boko Haram’s historical and political context, its religious and ideological underpinnings, and the resulting economic and social impact that affects contemporary Nigeria, Cameroon and neighbouring countries. Podruchny is a professor of history and teaches courses in historical methodology, and early Canadian and Aboriginal history. An historian of Métis history in Early North America, Aboriginal and French relations, she studies systems of communication, the fur trade and the formation of identity. Her first book explored the world of French Canadian voyageurs in the fur trade based in early Montreal. Her current projects explores the mixing of French Canadian, Ojibwe and Cree chronicles under the semblance of fur trade stories and the French-Saulteaux dictionary compiled by Georges-Antione Belcourt, a Roman Catholic missionary in the mid-19th century. Podruchny’s project is titled, “Aandse: Anishinaabe Ways of Knowing and the Transformation of University-based Knowledge Creation and Transfer.” Aandse is the Anishinaabe word for transformation. The project will create spaces at York University where Anishinaabe intellectual leadership can reach Canadian citizens through education and knowledge transformation. York is situated on Anishinaabe land and so promoting Anishinaabe ways of knowing is a meaningful way of indigenizing this academy. The partnership behind this project comprises an interdisciplinary team of five scholars, two of whom are Anishinaabe, and four partner organizations: the Ojibwe Cultural Foundation (OCF), the Wikwemikong Heritage Organization (WHO), ActiveHistory.ca and York (primarily through the History of Indigenous People’s Network [HIP] based in the Robarts Centre for Canadian Studies). OCF and WHO will lead in teaching university-based scholars and students about Anishinaabe ways of knowing through stories and learning by doing in Anishinaabe spaces. Co-applicants and the HIP Network will adopt and disseminate a specific methodology of Anishinaabe ways of knowing (based on storytelling and learning by doing), transform knowledge materials using this methodology, publish on this methodology, and use it in classrooms, while ActiveHistory.ca will disseminate to the general public. Answering the Truth and Reconciliation Commission’s call to increase Indigenous presence and knowledge on Canadian university campuses, this project centres on Indigenous priorities and incorporates Indigenous methodologies. The core of this project is creating opportunities for Anishinaabe Elders and Knowledge-carriers to teach university faculty and students (which will happen at four gatherings a year for three years), and for faculty and students to then employ Anishinaabe ways of knowing in their research and teaching (which will include applicants creating new courses at York). 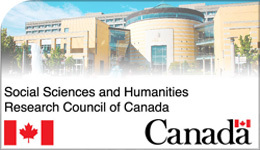 For more information, visit the SSHRC Partnership Development Grants program website.